The theme for the 10th February, 2019 was Love. We are trying to make our service more child friendly and interactive with songs which the children sing at school. 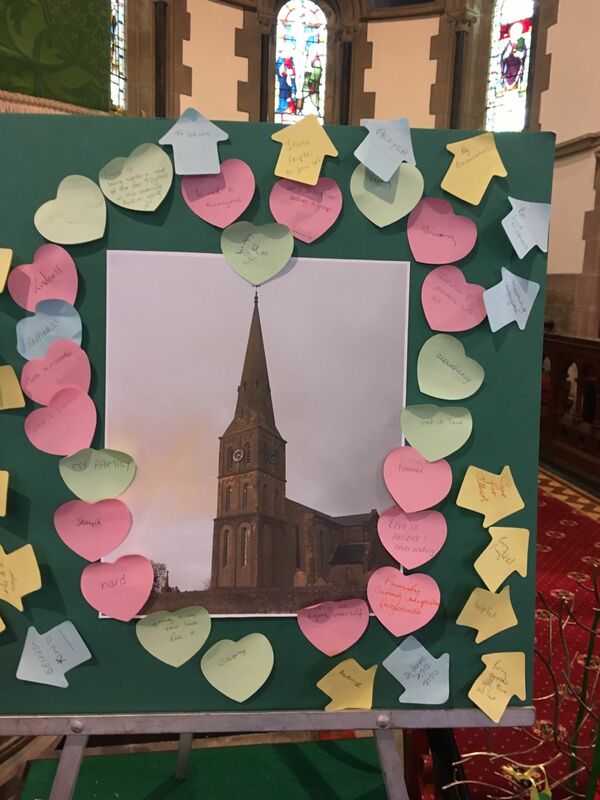 All the congregation participated by describing "What love is .." and how we could take that love into the community. 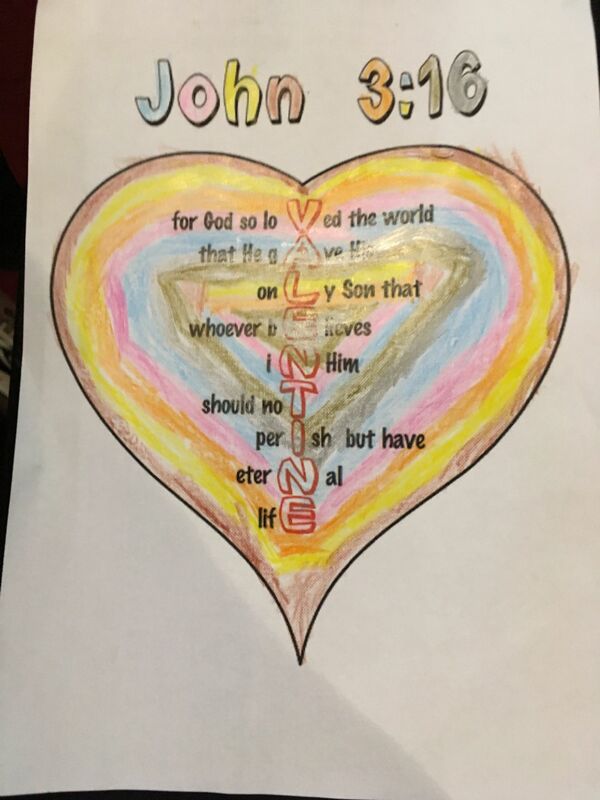 The children led the prayers which were based on the colours of love. 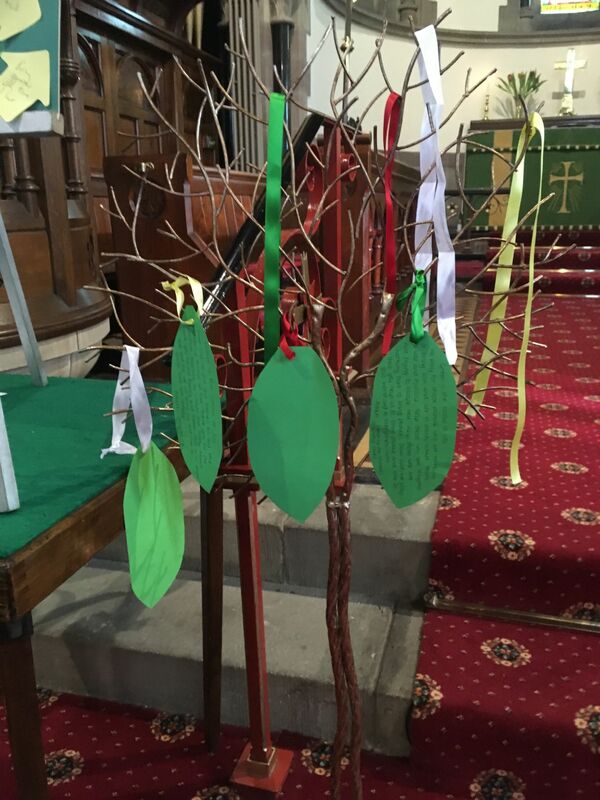 Ribbons were hung on the prayer tree. Green is the colour of life. White is the colour of eternity. MAY THE LOVE OF GOD BE IN YOUR HEART. MAY THE LOVE OF GOD BE IN OUR WORLD. 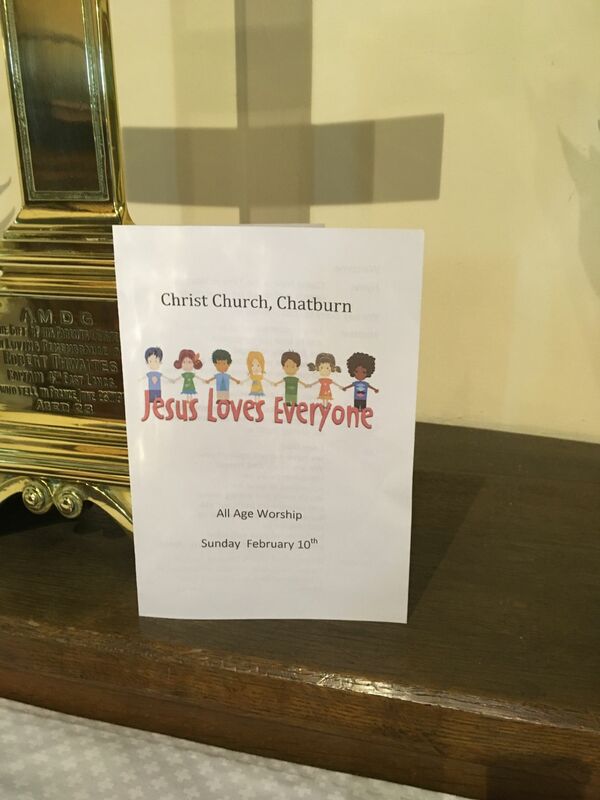 Our next All Age Service can be found on our events calendar. you will be most welcome whatever your age.